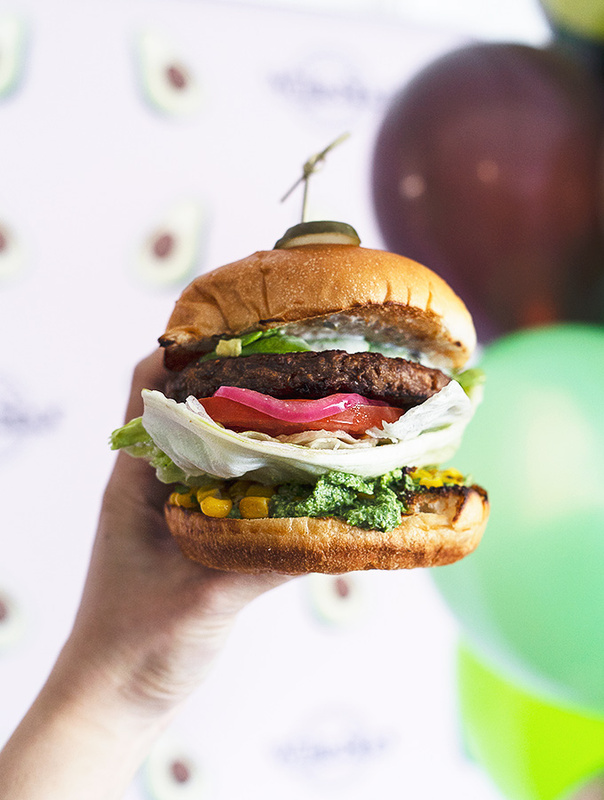 On April 15, White Spot will be launching a new 100% plant-based item to the menu: the White Spot Avocado Beyond Burger. What is The Beyond Burger Meat Patty? The Beyond Burger is the world’s first plant-based burger patty. It looks, cooks, and tastes like beef but is 100% plant-based. Each 4 oz. patty contains 20 g of 100-percent plant-based protein and is made without GMOs, soy, gluten, antibiotics or hormones. The fully-composed White Spot Beyond Burger features fresh avocado, pickled onions, roasted corn, lettuce, tomato, Jalapeño ranch and edamame hummus. It is chargrilled and served with a choice of Caesar salad, The Spot’s salad, or creamy coleslaw and ‘endless’ signature Kennebec fries. The price of White Spot Beyond Burger is $17.49 in British Columbia and $18.49 in Alberta. Guests can also substitute the Beyond Burger patty in any of White Spot’s signature burgers for $1.99. You can also make it a lettuce wrap at no additional charge or substitute a gluten-free bun for only $1. The White Spot Beyond Burger is available at all full-service White Spot restaurants in BC and Alberta starting April 15. Beginning May 6, the White Spot Beyond Burger will also be available at White Spot’s quick-service brand Triple O’s. 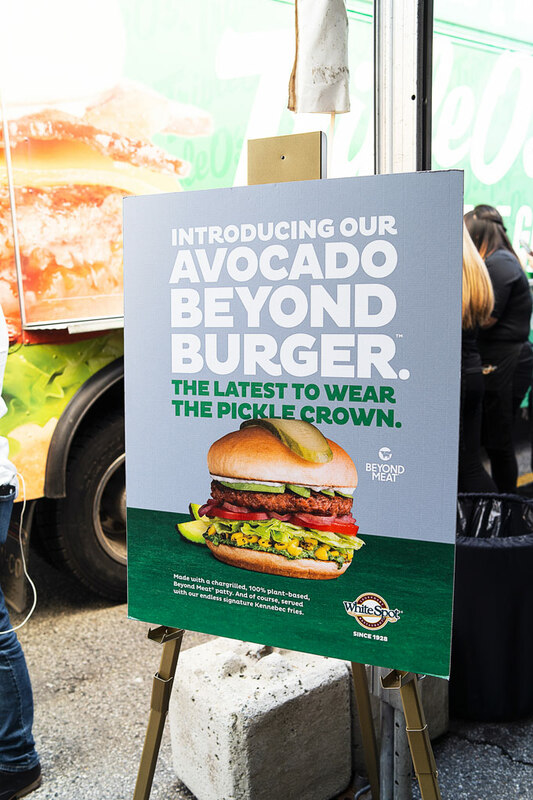 It will appear in a new Beyond Original signature burger as well as a limited-edition Mushroom Avocado Beyond Burger. In celebration of the launch of its new menu, White Spot will be giving away 300 FREE Avocado Beyond Burgers from the White Spot food truck. The food truck will be parked in the Easypark lot at the corner of Cambie and West Georgia (688 Cambie Street, Vancouver) starting at 11 a.m. on Monday, April 15. There is a limit of one burger per person and on a first-come, first-served basis. How Did I Like The White Spot Beyond Burger? I had the opportunity to preview the White Spot Beyond Burger at a media event recently. I’ve had Beyond Burgers elsewhere in the past and expected the same type of juiciness, meaty deliciousness as before. To start, my burger was beautifully stacked with layers. It was certainly very tasty at first bite and you definitely don’t miss the meat! The vegetables were crispy and fresh. Avocado and corn are some of my favourite fixings so I’m happy that the burger incorporates them already. The burger also has edamame hummus which I have never tried before. Compared to the chickpea version, I found the edamame hummus to be lighter, just as creamy and quite refreshing. Overall, two thumbs up for the White Spot Beyond Burger. Be sure to try it on your next visit to White Spot. The revolutionary Beyond Burger patty will also be featured as part of White Spot’s new Southwest Power Bowl your choice of protein (Beyond Meat patty, blackened fresh BC Chicken, Oceanwise Wild Pacific Sockeye salmon or Oceanwise sauteed garlic prawns) with fresh avocado, cherry tomatoes, radish, roasted corn & cabbage. Served with quinoa and jasmine rice with greens. Jalapeño ranch & edamame hummus. Chargrilled, 100% plant-based.